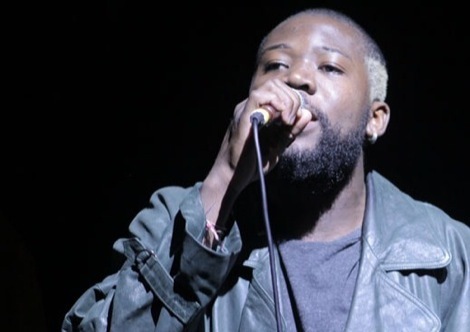 Having set a resolution to see at least one gig per week, Getintothis’ Sinead Nunes finds Young Fathers top of her list for 2018 so far, in the grungey glamour of the O2 Ritz. 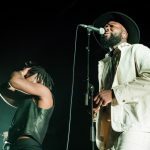 When you’ve seen this group live as many times as Getintothis’ Sinéad Nunes, it can be easy to expect an off-week. 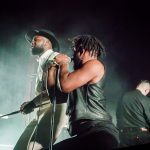 Not so with Young Fathers, whose raw, brutal energy and excruciatingly danceable beats promise a great show within the first few lines of the opening track. 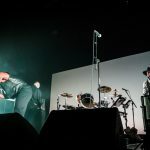 Drummer Steven Morrison, ever relentless as he stands behind his ever-growing kit, leads the way onto the stage, demanding attention from the audience and twisting his shoulders as he lays down the beat. 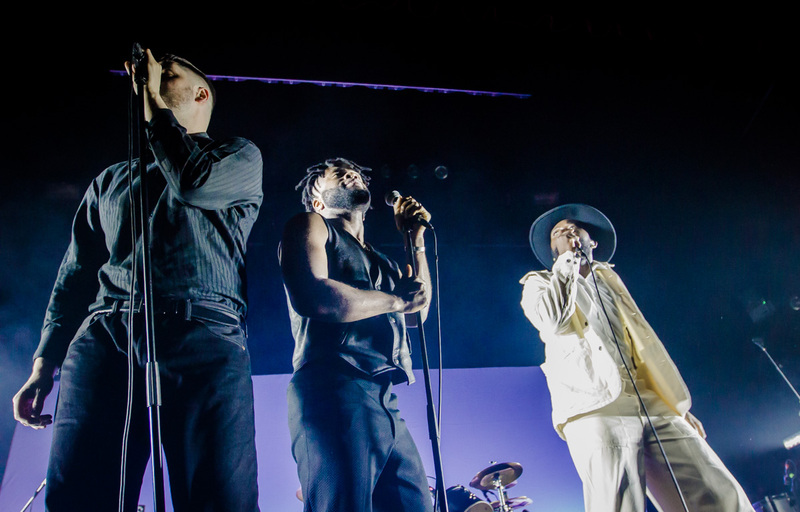 The minimalist stage set up, with a giant LED screen illuminating the silhouettes of four men on stage plays into the hands of the charismatic group, winners of the 2014 Mercury Prize. 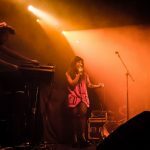 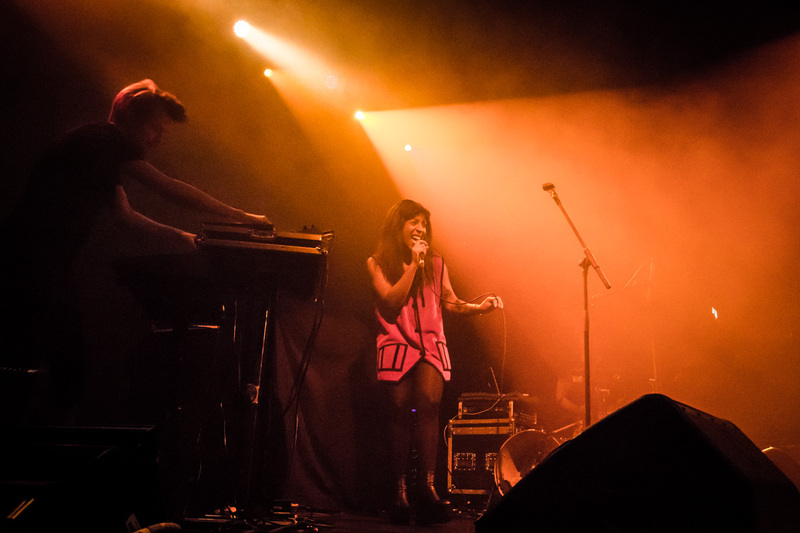 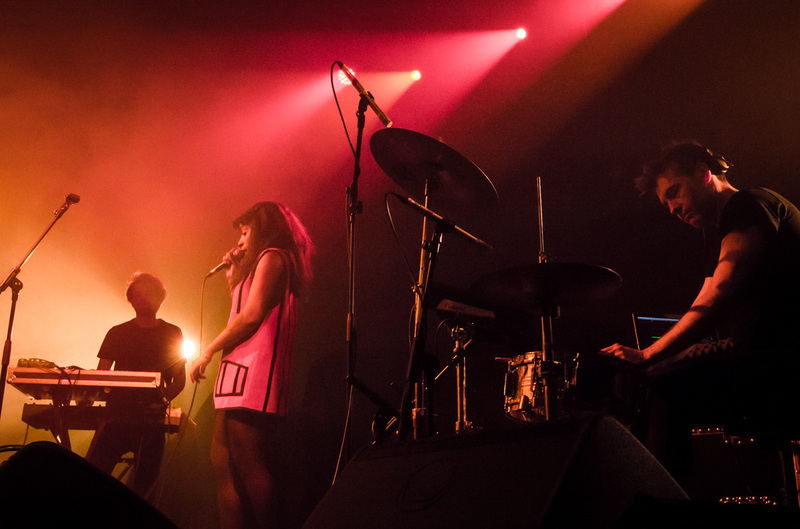 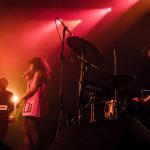 Their music is ever fresh, defying classification as they draw on hip hop, punk and electronica, with soulful vocals and aggressive rapping variously laid on top. 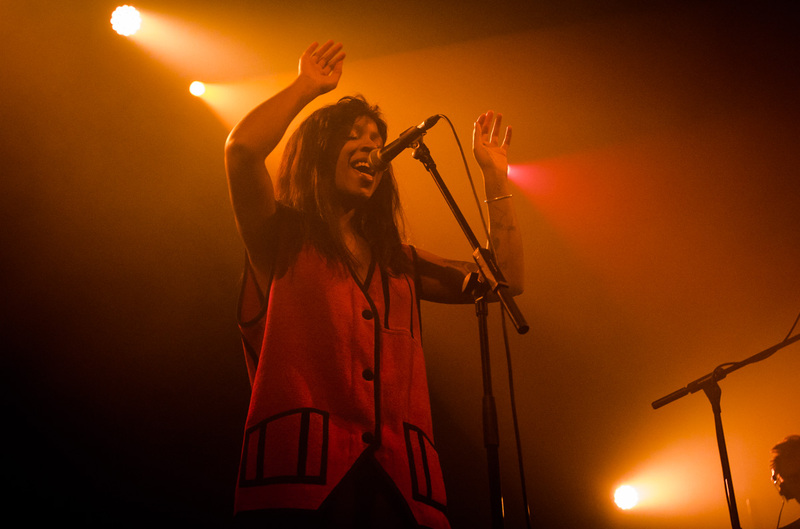 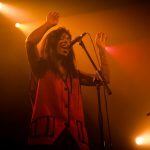 Each time they’ve played live, all three vocalists have become more involved in the music; whether that’s Ally Massaquoi assisting Morrison on drums to create a harsher, more immediate sound, or Graham Hastings adding live flair to his synth compositions on Queen is Dead or In my View; machine drones and that particular low frequency bass pulse which gives their music such a primal thrust. 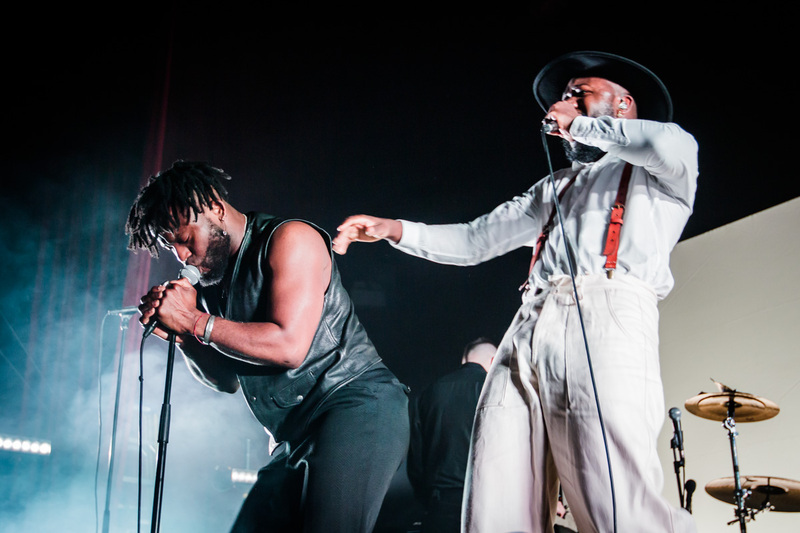 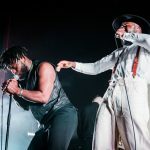 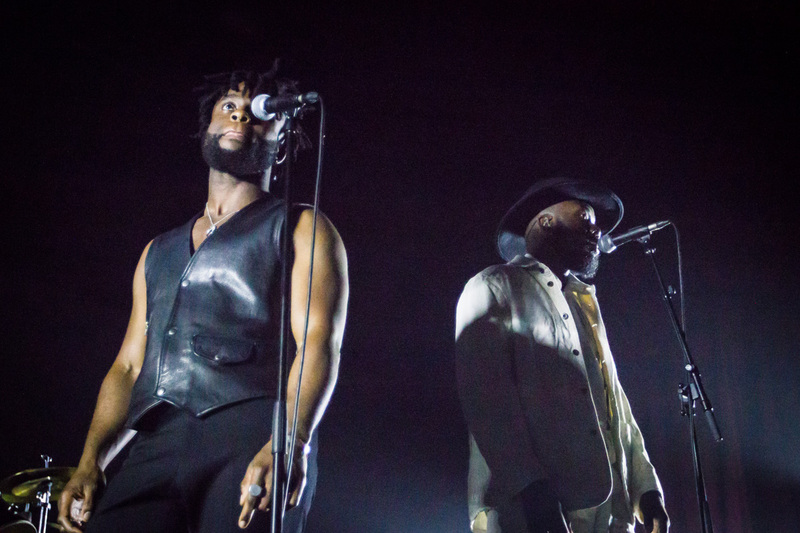 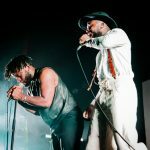 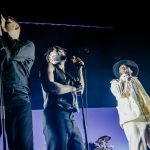 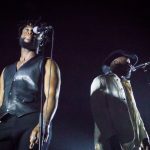 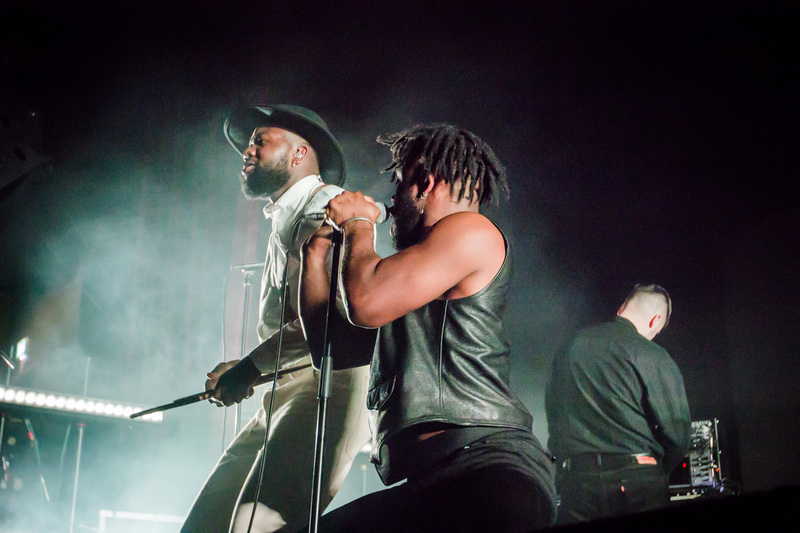 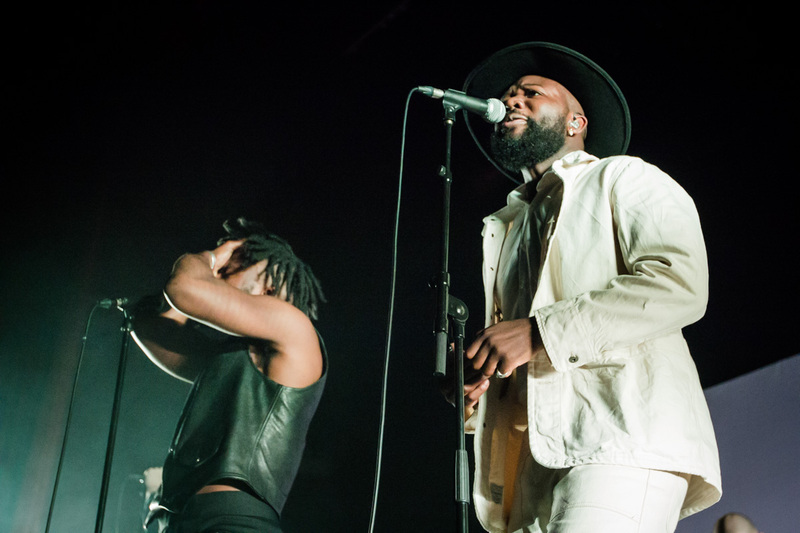 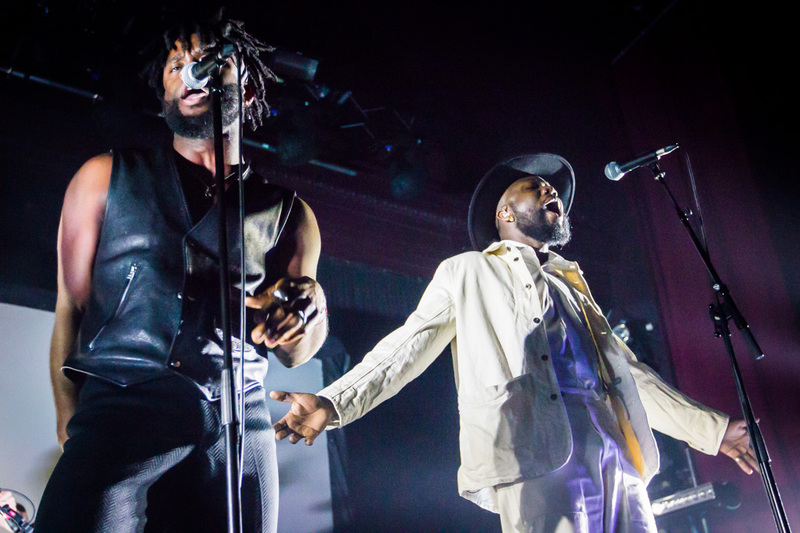 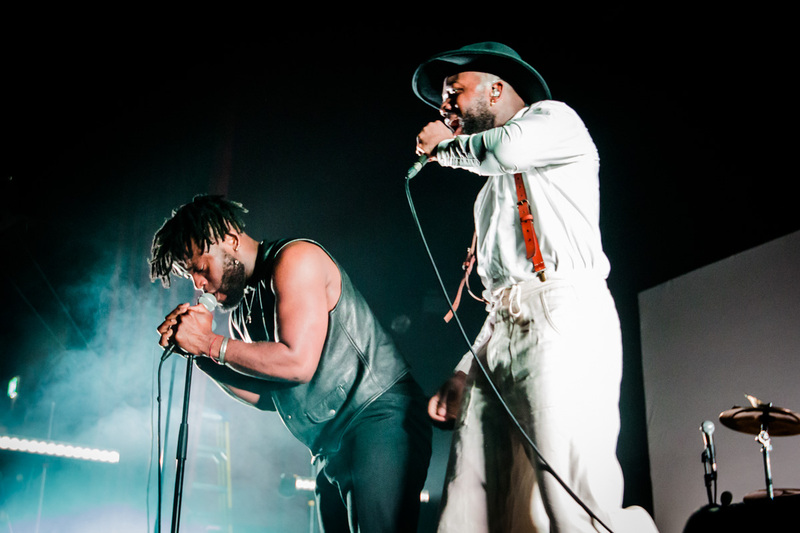 Young Fathers are a hypnotic live act, and although no one can be considered the front man, its hard to keep your eyes away from the frenetic energy of Kayus Bankole. 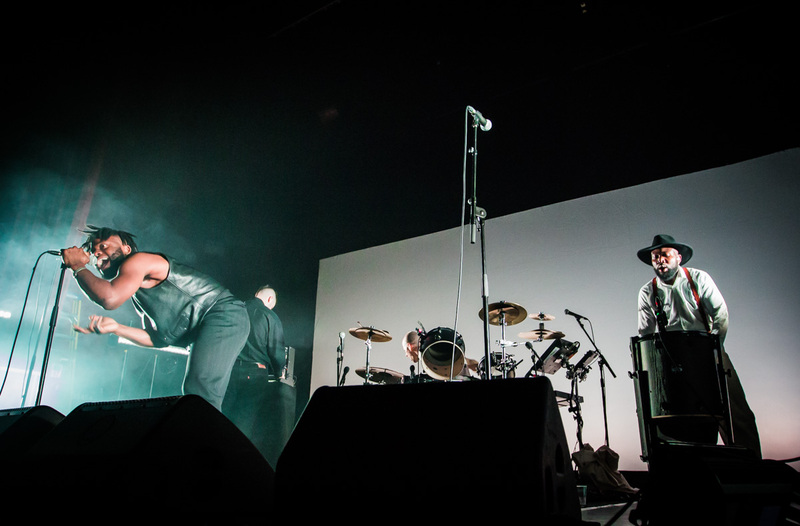 Prowling the stage as he interacts and flirts with the audience, screaming into the mic on tracks like Old Rock n Roll, whose jarring sitar-like melody seems to stir a primal impulse to move in the whole crowd, he is fascinating to watch. 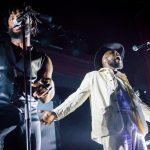 Whether hollering like a preacher on Holy Ghost or capturing the spotlight with his dancing on instrumentals, Bankole and his band have got to be one of the most entertaining live acts you’ll see. 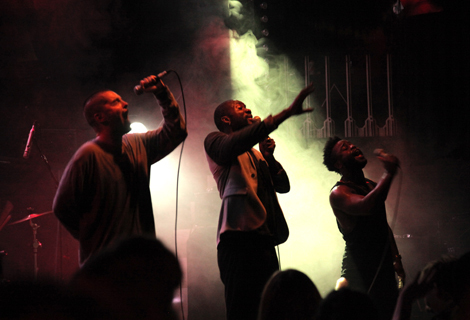 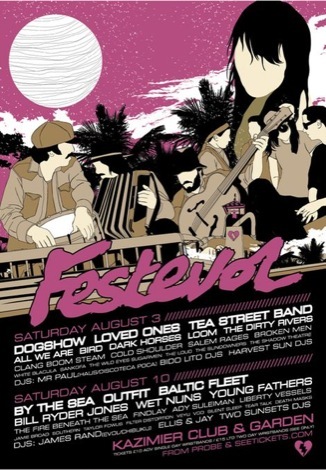 Catch them at LIMF alongside Basement Jaxx on 22 July.